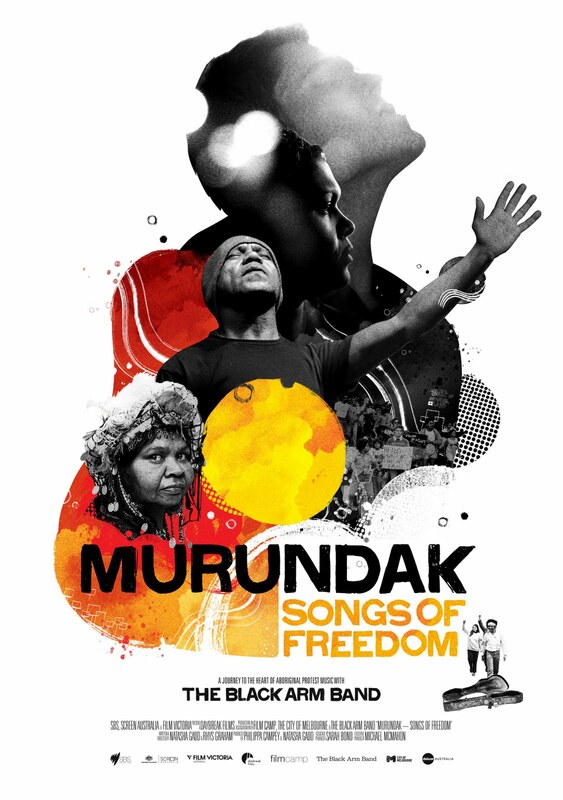 It's the eve of the premiere of 'murundak - songs of freedom', the feature doc we've been working on for so long, and it feels surreal. The artists and subjects of the film are flying in from around the country, crew members are coming to town, we're running around frantically picking up posters, organising after screening bevvies and food, we're sitting through meetings with all the pretty damned extraordinary sponsors and donors, and checking off times for tech checks, sound checks, guest list checks and waistline checks for dusty red carpet outfits. It's mayhem. But a mayhem you know will have a release. I walked past the Forum Theatre today, where we are hosting the premiere, and, looking up, realised they had already laid out the banner text. After collecting a new pair of pants, I couldn't help but think of all the great screenings I've been to in that beautiful old cinema. It feels kinda outrageous and kinda amazing to be able to show your own little flick in that same hallowed theatre. When you squeeze every last dollar from a budget and every last bit of energy from your reserves it's easy to forget that you need to rev up and do it all again in getting the film out to folks. We know that any documentary film and any independent film is fighting an uphill battle in this period in time, but we believe in the film and the people who've invested in it, and what other option do we have but to slog it out and organise a big, sprawling, messy kick off, a bunch of subsequent public events, a theatrical run and lots and lots of spruiking to get people to come and catch the film in some way at some venue at some time. We're pretty proud that a whole bunch of people seem to be as excited as we are, and that a whole lot of folks have thrown their weight, their support and their time into helping us launch it. We're also pretty proud of our artwork designed by the good men of small studio. You dig it?